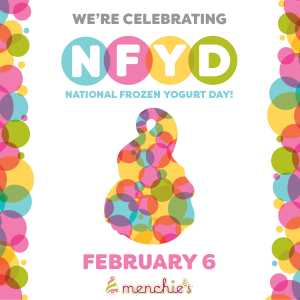 Menchie’s is celebrating National Frozen Yogurt Day, Monday, February 6, by gifting fans with Buy One Frozen Yogurt, Get One Free all day. 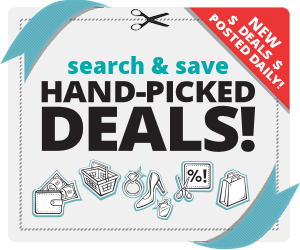 No coupon or code is necessary to enjoy this sweet deal. As an added bonus, fans who come in and celebrate with Menchie’s will receive a Buy One Get One Free coupon to use on their next visit, valid February 7 through February 28, while supplies last. In February, Menchie’s is also partnering with Hershey, a global confectionery leader and the largest chocolate manufacturer in North America, for a limited time flavor, Hershey’s Kisses Milk Chocolate. Made with real Hershey’s Kisses, this flavor is the perfect addition to celebrate the month of love. Guests are also in for a treat with the arrival of Menchie’s Blackberry Burst. Made with real blackberries, this flavor contains no high fructose corn syrup, no artificial flavors and no artificial colors. For more information regarding Menchie’s, including the National Frozen Yogurt Day deal, store locations, or franchising opportunities, please visit Menchies web site.